At EBS Executive Suites, we have a wide range of options available, from daily conference room rentals to virtual offices, shared coworking space, as well as small and large private offices. 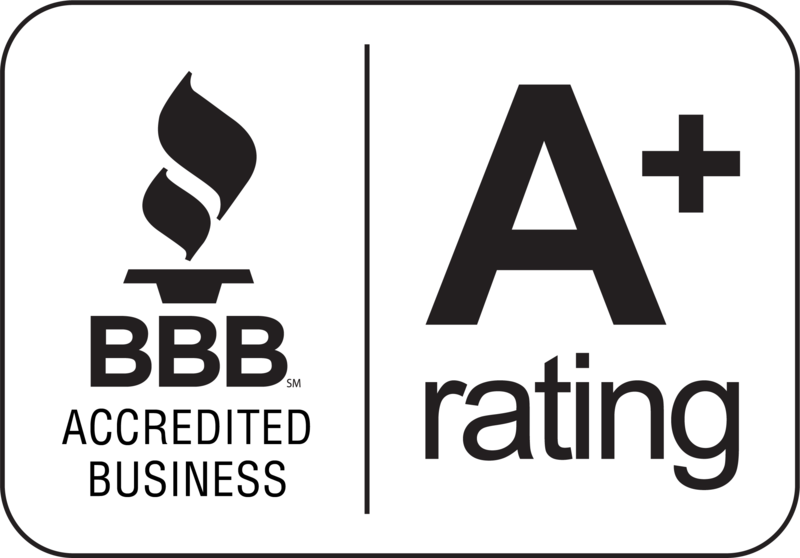 Our mission is to support small businesses and entrepreneurship in the Winston-Salem area by providing professional office space with shared resources to our clients. If you’re simply tired of working from home or the local coffee shop, then our shared coworking space is perfect for you. 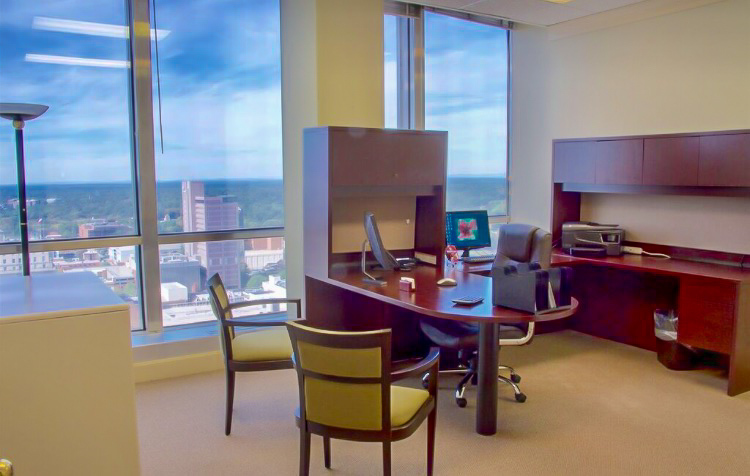 Our private offices are already furnished and come with an amazing view of downtown Winston-Salem. Just need an address to call your own? Our virtual offices provide that, and much more for your business needs. If you’re searching for a space to meet with clients, then our conference rooms are perfect for you. Rent them by the hour or day! Like the EBS Executive Suites page on Facebook to get the latest information on office availability, industry news, and current events in Winston-Salem, NC. 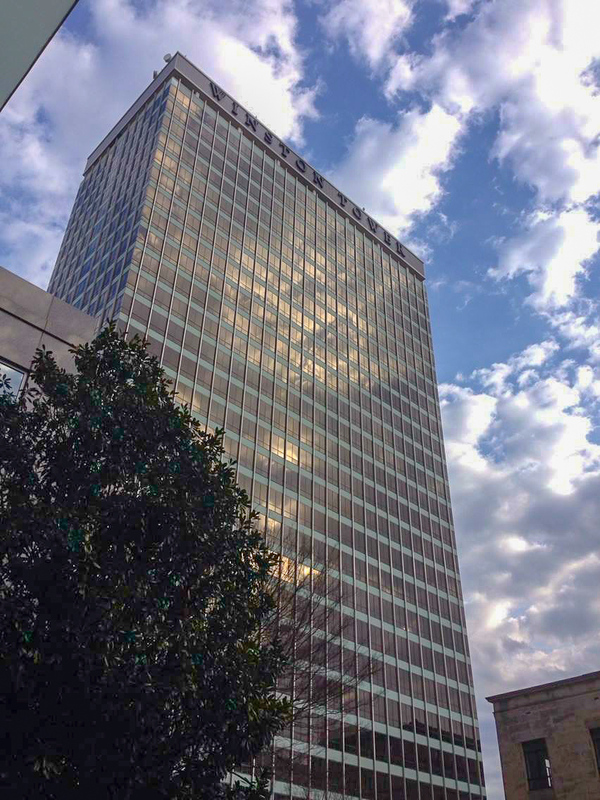 EBS Executive Suites, located in the heart of downtown Winston-Salem, offers a wide variety of office space for small businesses. Our facility offers a breathtaking 360-degree view of Winston-Salem from the 24th floor of Winston Tower! We also have multiple executive conference rooms, as well as a business lounge available for your businesses needs.